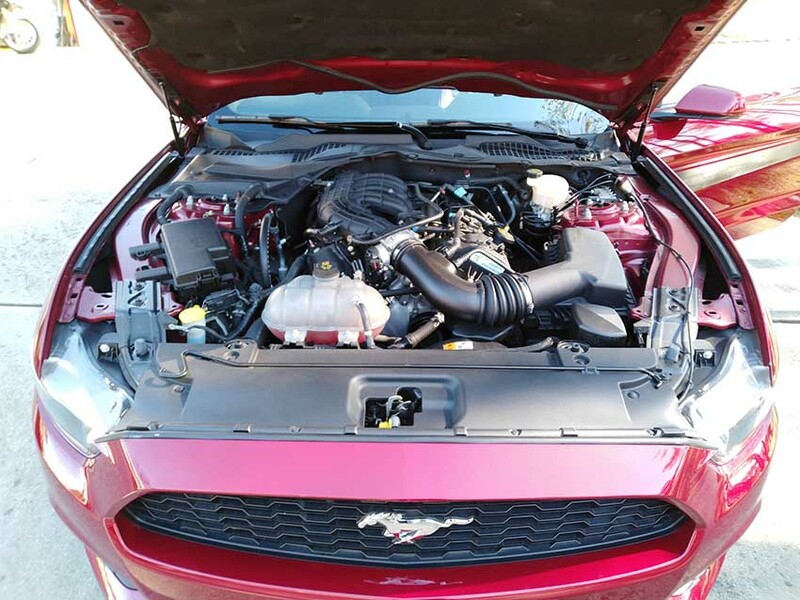 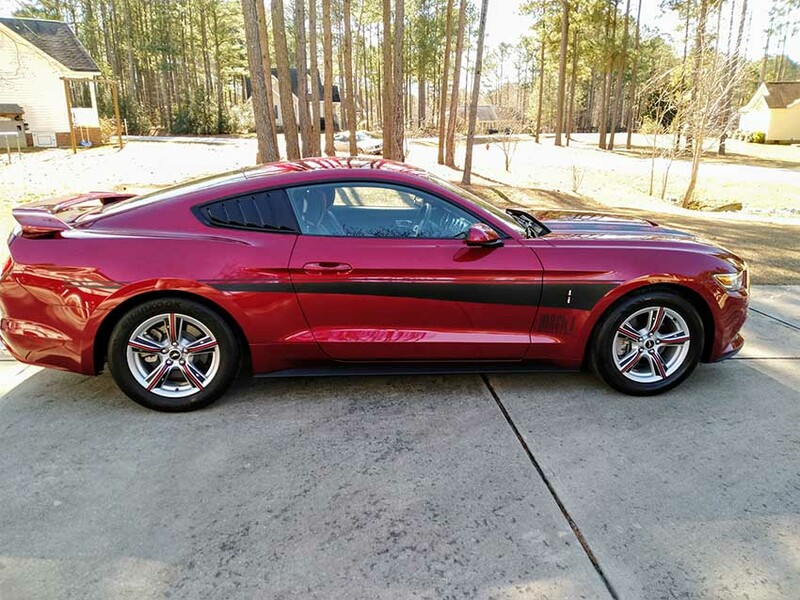 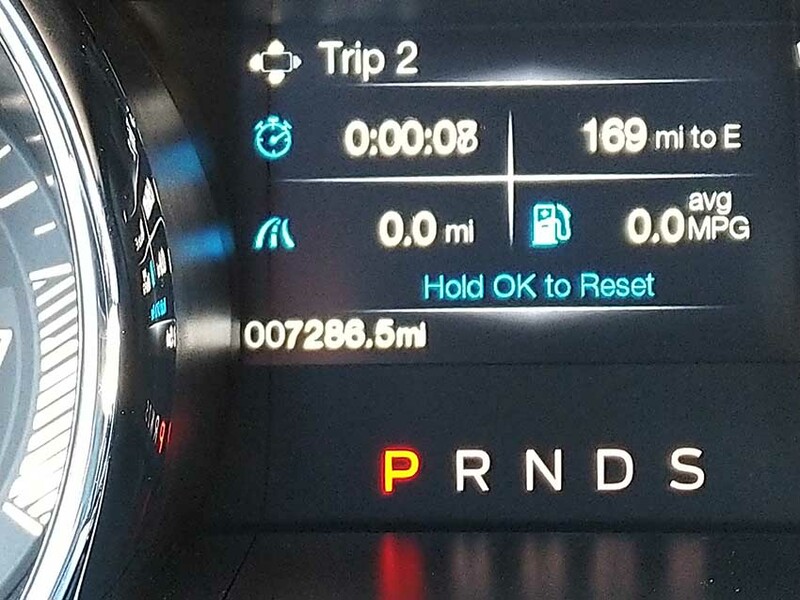 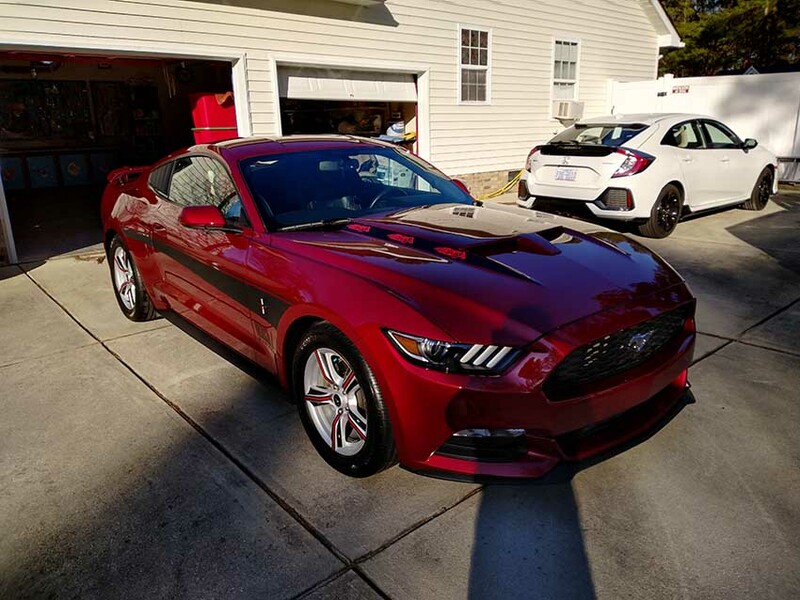 6th gen Ruby Red 2015 Ford Mustang V6 automatic For Sale. 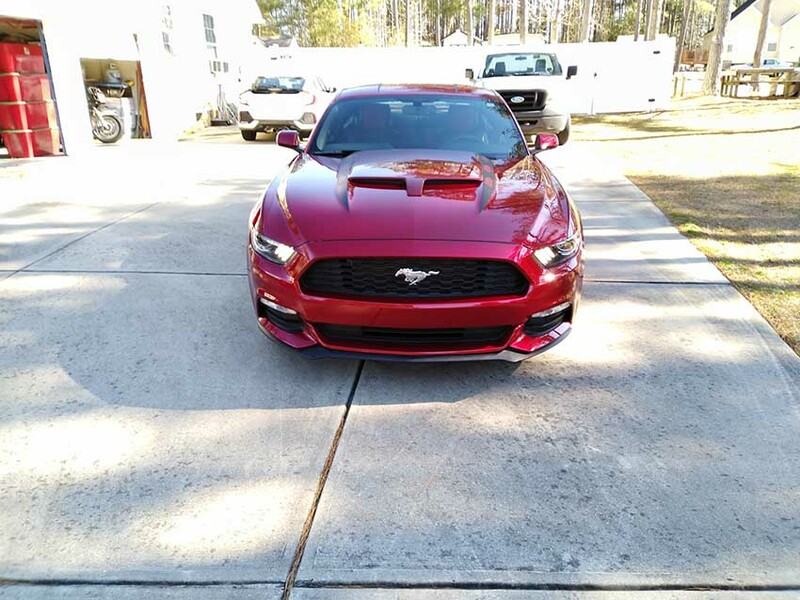 Borla exhust sys, side window vents, custom hood scoop, door ground lights, Door handle inserts, seat covers, leather floor mats, black momba spoiler, mach 1 graphics, not your tipical mustang look. 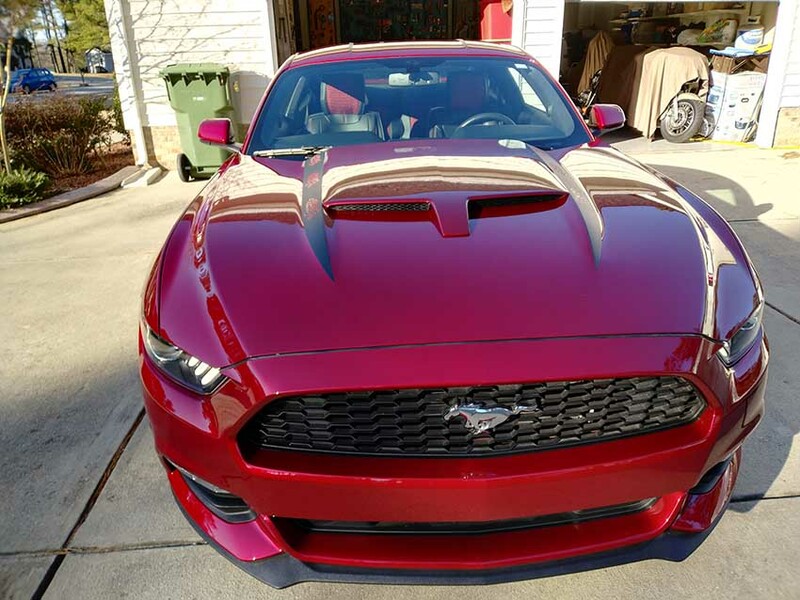 330 HP. 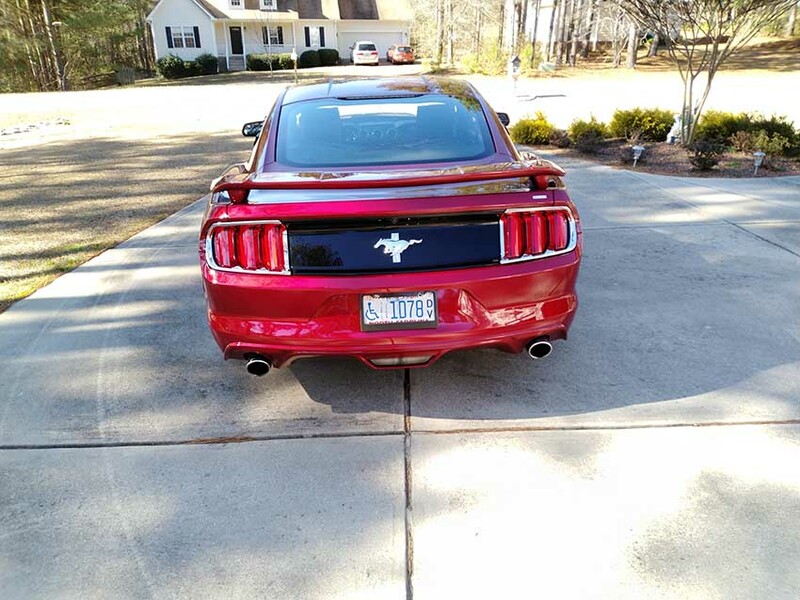 No dents Scratches or accidents again like a brand new car with extras. 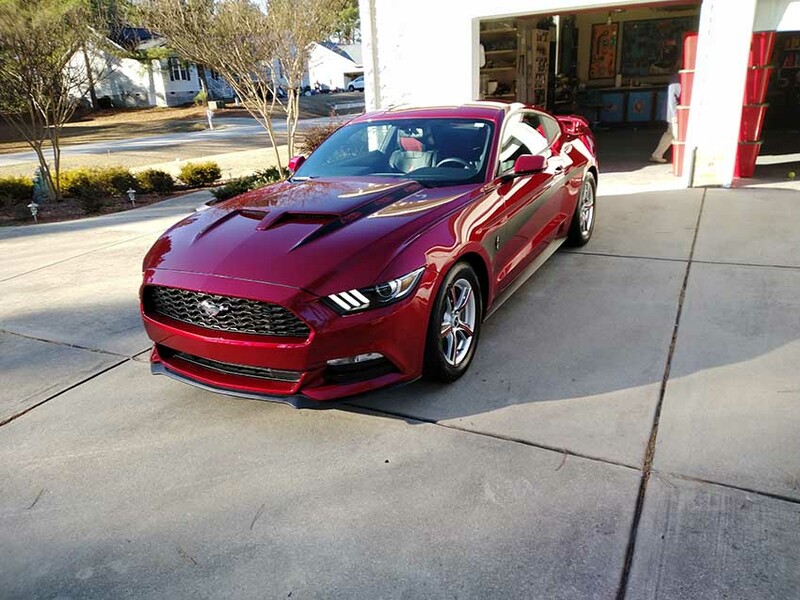 Contact phone – (919)-975-7206 – Also, can send inquiry (contacting by email). 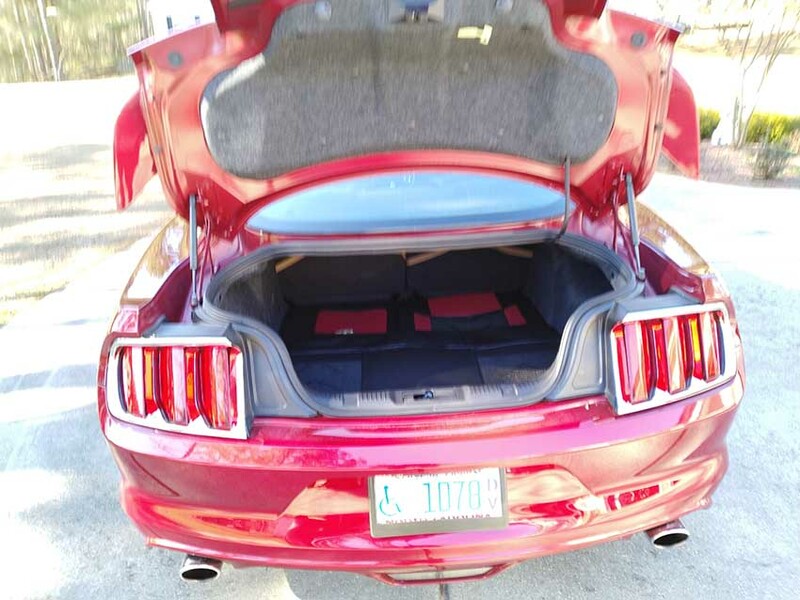 Car located in – Willow Springs, North Carolina, US.